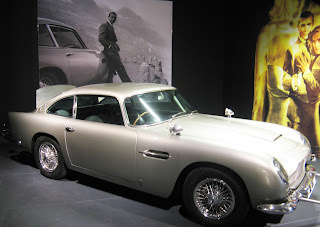 Without giving too much away for those who have not yet seen the latest James Bond film, Skyfall, the famous Aston Martin DB5 makes a welcome appearance. According to those in the know, this is its sixth appearance in a Bond film. The Good Garage Scheme thought we could have some fun this week and list a few of the famous Bond cars. The great news for anyone who owns one of the makes above is that you can find a Good Garage Scheme member that can service it near you. Simply visit www.GoodGarageScheme.com and use the filter to choose the make after entering your town or postcode. Give a shout for your favourite Bond cars on Facebook and Twitter now.